Several Hong Kong legislators are pushing for a law that gives the chief executive the power to order a holiday for workers after natural disasters. Chief Executive Carrie Lam faced criticism after she refused to order a day off for employees on Monday using the Emergency Regulations Ordinance after super typhoon Mangkhut hit Hong Kong. She explained that there was no way for the government to judge the legal consequences of doing so. Workers faced severe obstacles during their daily commute on Monday; bus and MTR services were severely disrupted. 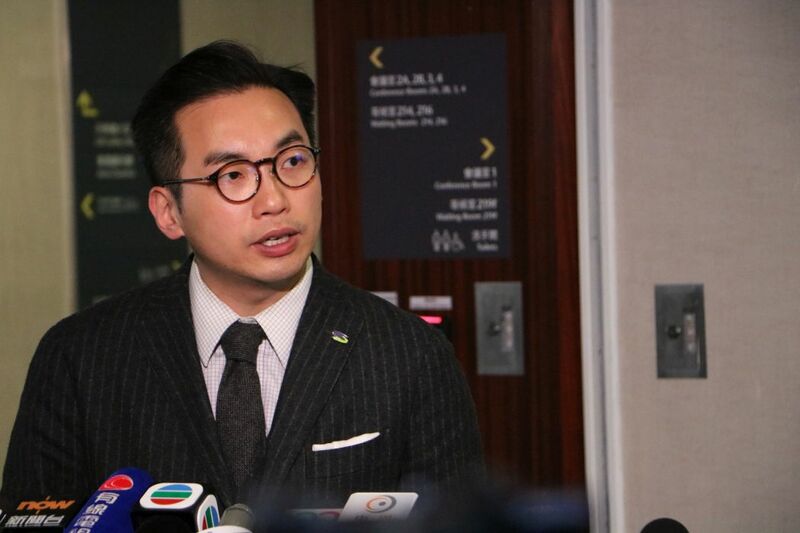 Civic Party lawmaker Alvin Yeung said he was drafting a private members’ bill that gives the chief executive legal power to order a special status for Hong Kong after natural disasters, so that employers cannot refuse workers’ requests to take a day off. Yeung said on Thursday that the only way to resolve the issue – as the government refused to adopt administrative measures – was to enact a law for natural disasters. 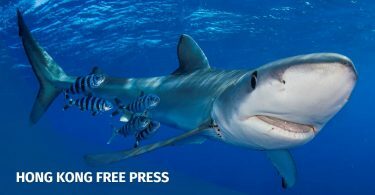 “Under global warming, there will only be more and more super typhoons – Hong Kong must prepare itself and establish a complete mechanism to handle the effect of climate change,” he wrote. Yeung told Apple Daily that Lam’s call for employers to be considerate does not protect employees. He added that it was also unfair to employers, since it does not give them clear instructions on how to deal with the situation. 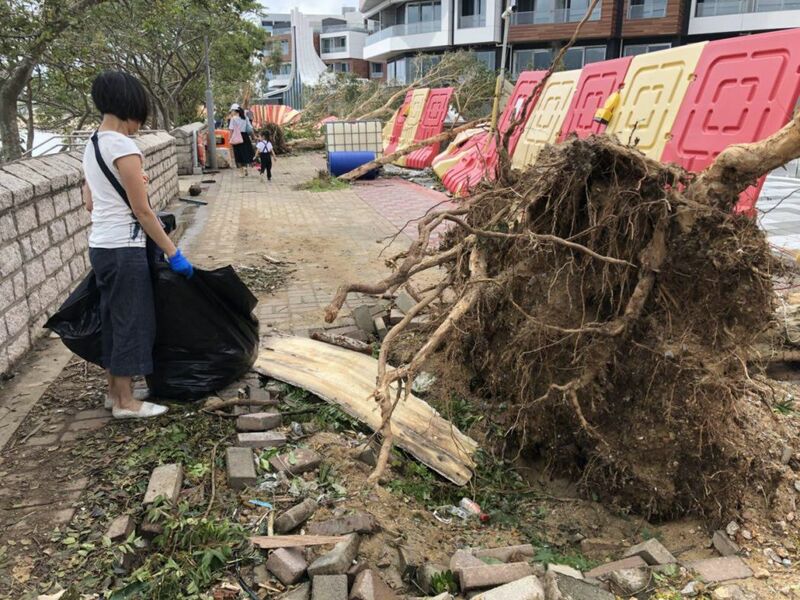 Residents cleaning up public areas after super typhoon Mangkhut. Photo: inmediahk.net. Yeung’s draft bill may include a provision that, under a “disaster status” ordered by the chief executive, employers cannot refuse day off requests from employees – unless they are civil servants in necessary roles – and cannot deduct annual leave. A private members’ bill related to government policies must receive written consent from the chief executive before it can be introduced to the Legislative Council. Yeung said it was not an easy task but he will ask the chief executive for a meeting after he has collected more information. 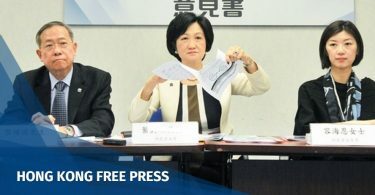 The pro-Beijing party the Democratic Alliance for the Betterment and Progress of Hong Kong also met with the Labour and Welfare Bureau to discuss implementing a “special situation” order after natural disasters. The party said the government should enact a law to give the chief executive and the executive council power to order a special status while the city cleans up after a natural disaster. Under the special status, employees would be protected from punitive measures if they cannot go to work after a typhoon signal no.8 – or above – is hoisted. 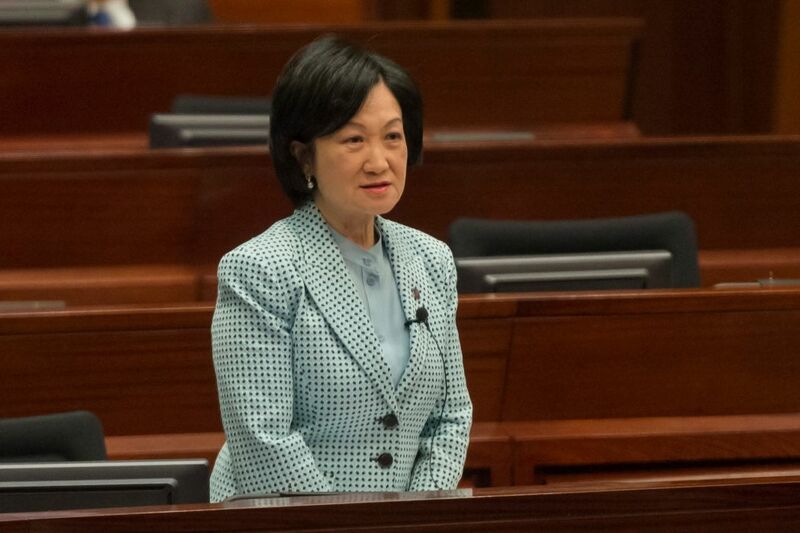 But New People’s Party lawmaker Regina Ip, who formerly served as Secretary for Security, said it was unnecessary for the government to enact a new law. Regina Yip. File photo: GovHK. The government has said it will review its plan for natural disasters. Labour Secretary Law Chi-kwong said on Thursday that he understood employees’ concerns about going to work after a typhoon, and the government has urged employers to consider transport situations. He said the handling of the situation after a typhoon differs from one industry to another, and each industry should make a set of clear guidelines beforehand.